How to restore a backup to computer with different hardware? The answer is in the article. With a professional backup software - AOMEI Backupper, you can achieve this goal easily and safely. Restore a backup to computer with different hardware is possible? In this article, I would like to come straight to the point, restore a backup to computer with different hardware is possible. This process has a special name: Universal Restore. In general, we backup and restore is the same machine. But when you buy a new computer, things are different, you should do is to backup the old machine, then restore to the dissimilar hardware. Thus you can use your familiar system and applications. Since two machines are much different, hardware include the motherboard, processor, memory chips, hard disk and video drivers, etc. Once one thing is not the same with before can be said a dissimilar hardware. You may wonder is it compatible or not to recover a backup to computer with different hardware? It is theoretically possible. But not everyone can do this. How to restore a backup to computer with different hardware? I said although that’s doable in theory, not everybody can realize it. You may ask is it difficult or only minority are geeks? No! They don’t know this until they find a tool to help to do this. Windows has built-in backup program, but it can’t help you restore system image to different hardware. To achieve this simply, you need to look for a professional software. 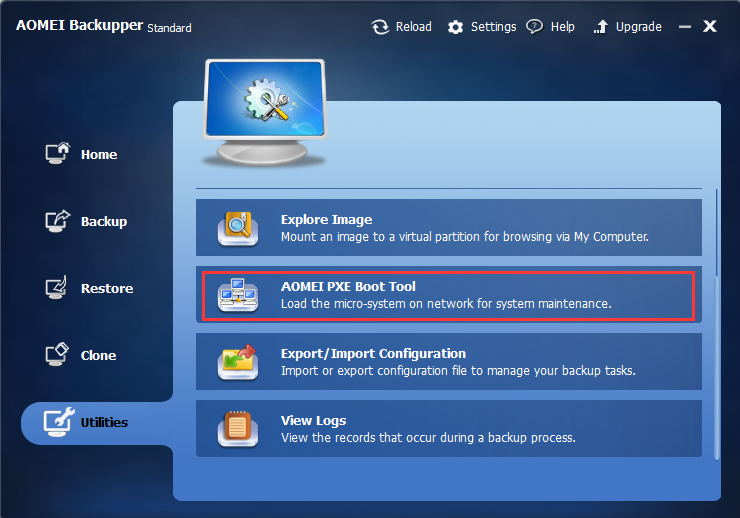 AOMEI Backupper is one of the few software can restore a backup to computer with dissimilar hardware in the market. It is an excellent backup&restore software and get good rate from CNET. Here we get into finally. Before you recover a backup to computer with dissimilar hardware, you should make some preparations. Backup is essential, we recommend you create a system backup and save the image to NAS. Why? 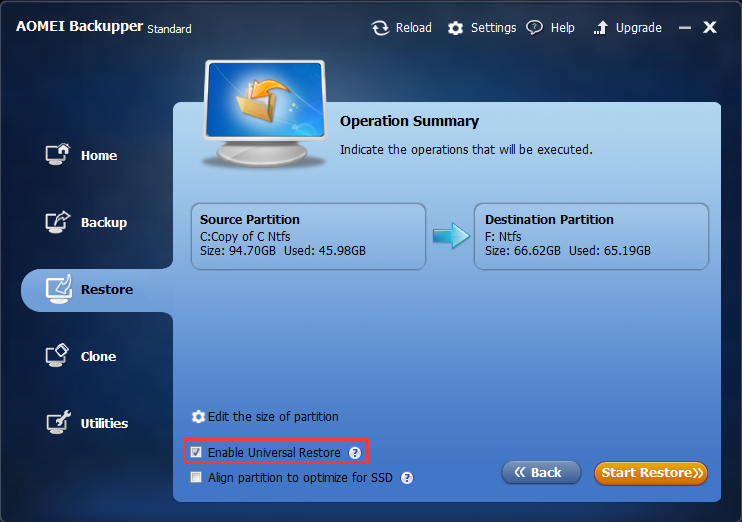 When restore, it is convenient and cost-saving if you manage multiple computers. In addition, AOMEI Backupper has a built-in utility called AOMEI PXE Boot Tool, which will help you boot several computers simultaneously in the same LAN. 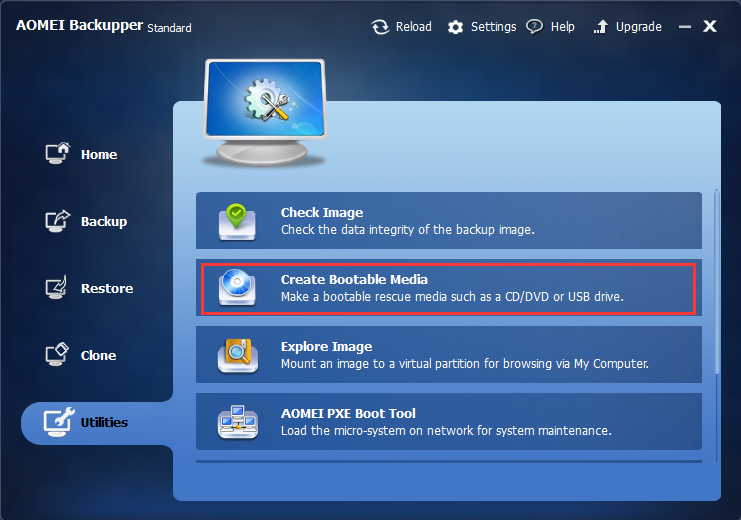 Another useful utility of AOMEI Backupper is Create Bootable Media. Because with which you can boot your system from other media, CD or USB drive. Make sure that you selected Universal Restore in the last step. AOMEI Backupper is a powerful backup software, restore a backup to computer with different hardware is a piece of case for it. AOMEI products are amazing, above mentioned PXE and bootable media have independent software: AOMEI PXE Boot Free and AOMEI PE Builder, if you are interested in them, you can download each and try.